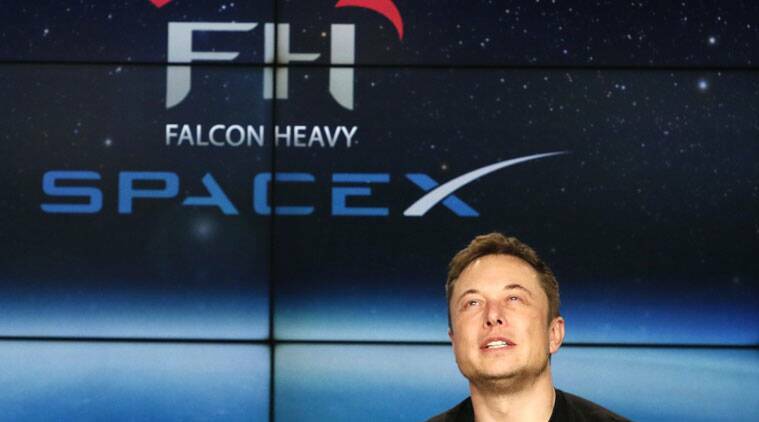 SpaceX's Facebook page, which had more than 2.7 million followers, is no longer accessible. Both the verified pages disappeared on Friday, even as Musk later clarified that his company has never advertised with the social media giant. 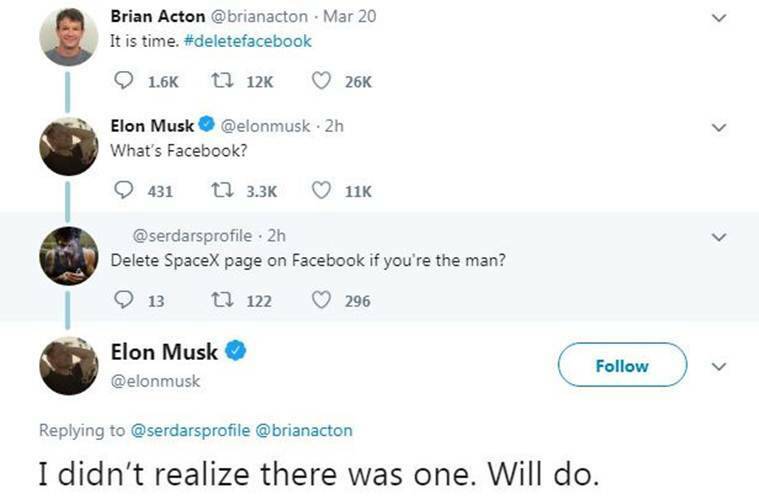 Musk had begun the exchange by responding to a tweet from WhatsApp co-founder Brian Acton of the #deletefacebook tag. “What’s Facebook?” Musk tweeted. When users began urging him to delete the pages, he responded saying he didn’t realise he had one. The pages, which had more than two million likes each, were then soon gone. When other users urged him to delete related Instagram accounts, Musk said that the photo-sharing platform was “probably okay” as long as it “stays fairly independent” from Facebook, its owner. Musk is the most prominent person from the tech world to have joined the #DeleteFacebook bandwagon after it was revealed that a company attached to Donald Trump’s 2016 presidential campaign was involved in data mining and had collected data from as many as 50 million Facebook users, despite telling the social media website that it had destroyed the same.